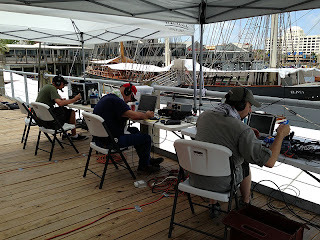 Here are few photos from Saturday June 1, 2013; day one of Museum ships Weekend. 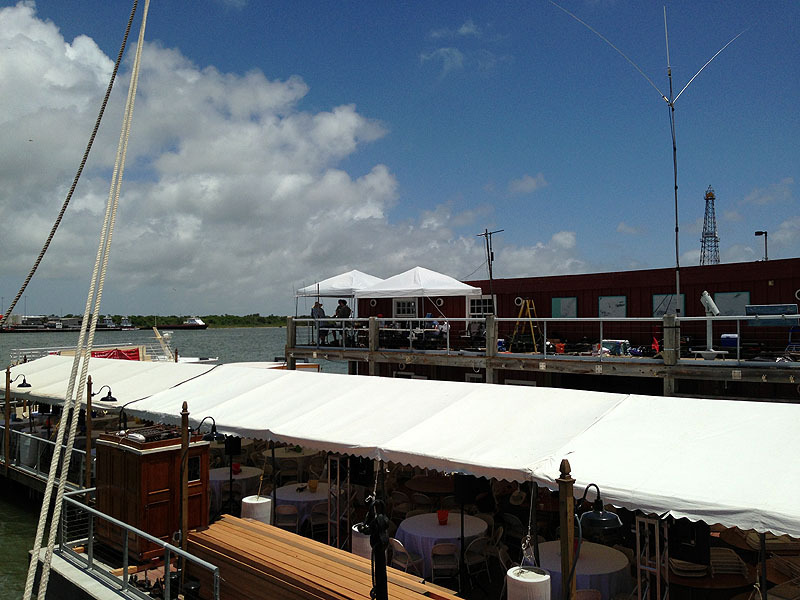 We operate dockside. Boy was it hot! Feeling a little toasty Sunday morning as we prepare to go back out. 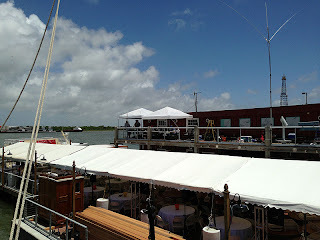 The Elissa is operated by the Texas Seaport Museum. Last night, they held their annual Plankholders event. So we had to vacate around 2200z. Three of our operators straining to hear through the noise. The Elissa in the background. 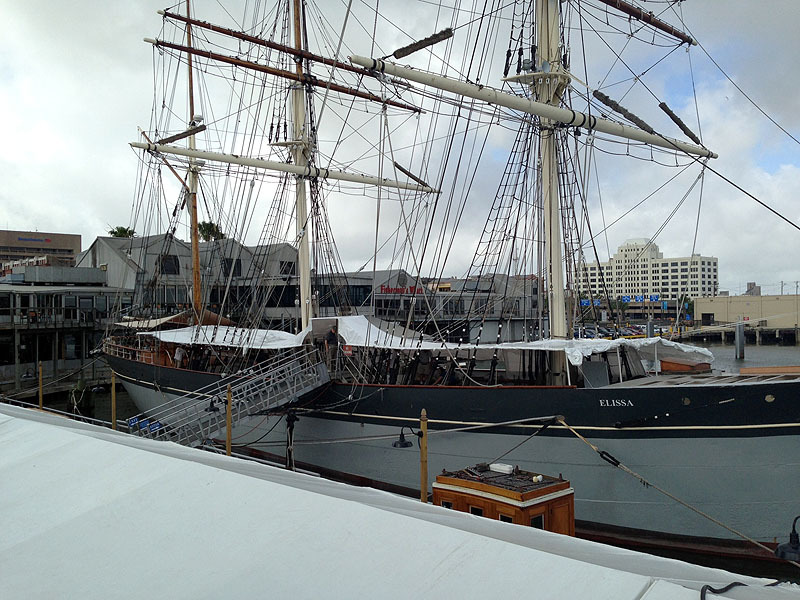 The 1877 Tall Ship Elissa. Notice the missing deck. 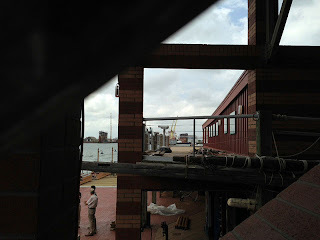 they are in the process of redecking the entire ship. 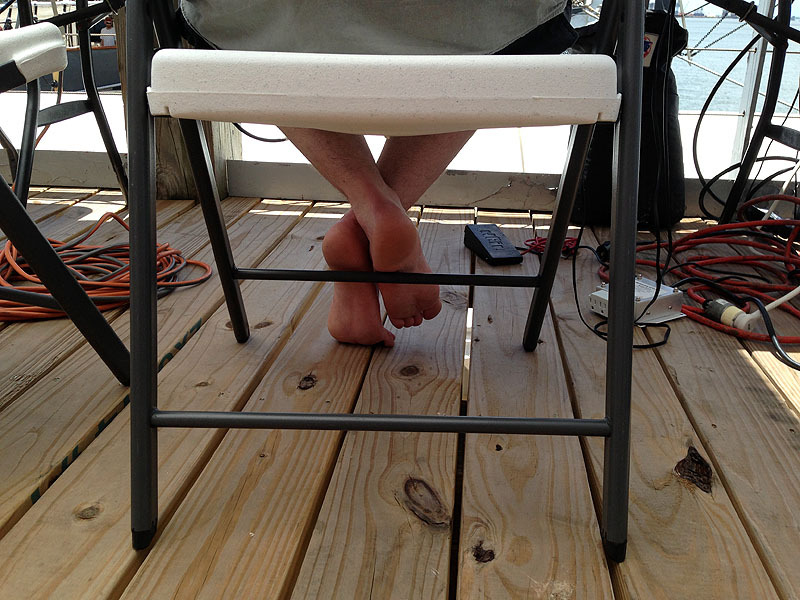 As previously posted one of our operators giving new meaning to the term operating barefoot. A view of our operating position from onboard the Elissa. Operating outside at a remote location has it's challenges. 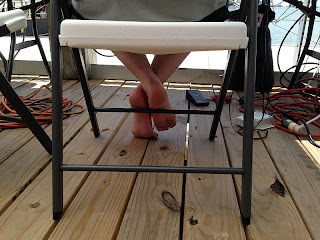 We had a few technical issues that delayed us getting on the air. they also restricted us band wise for a while. But, other challenges include the qrm from the "locals". HI! I will try to post a few more photos and such from today's operation.